Rectal problems include a surprisingly large number of conditions which typically arise from internal causes. Gastroenterological problems can result in rectal problems for a number of reasons, so it is important to consult with Dr. Yamini if you recognize the telltale symptoms which indicate something isn’t quite right. Examples of rectal problems may include hemorrhoids, rectal prolapse, abscesses, fissures and cancer. Symptoms of rectal problems also vary considerably, although there are a number of common symptoms that patients may experience. If you are suffering from pain or bleeding when passing stools, it is indicative of a rectal problem. Similarly, if you are unable to pass stools in the middle of a bowel movement, it is cause for concern. Many patients are reluctant to discuss rectal problems with a doctor due to the sensitive nature of the topic. Dr. David Yamini is a caring and understanding specialist who is able to put patients at ease regardless of the health topics that are discussed during the consultation. 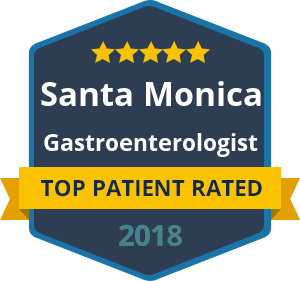 You can trust Dr. Yamini to exercise full confidentiality when providing diagnosis or treatment for rectal problems in his Beverly Hills or Santa Monica offices. What are the Causes of Rectal Problems? The cause of rectal problems must be investigated by a doctor who specializes in gastroenterology. Due to the complex nature of the multiple systems involved, it is important to seek consultation with Dr. David Yamini right away if you are experiencing discomfort when trying to have a bowel movement or passing stools. The cause of rectal problems can range from something that is easily treatable such as poor diet, to cancer, which may require complex surgeries. To find out the cause of your rectal problems you can contact our practice today to arrange a consultation with Dr. Yamini at his California offices.